Like Tough Mudder, Tough Mudder Half is not a race, it’s a challenge! Designed to test teamwork and grit on a 5 mile obstacle course without fire, ice or electricity, it’s all the mud and half the distance. 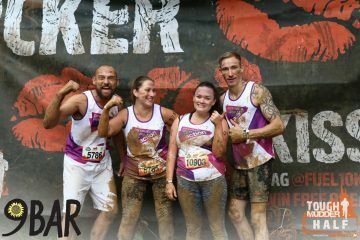 The Tough Mudder Half is the first step to joining a community of 2 million strong around the world, who’ve found camaraderie overcoming mud-drenched obstacles and adrenaline pumping challenges. Epic obstacles and fewer hours wasted on a treadmill – it’s all your friends and no excuses! Free t-shirt, headband and pint! Set up your bespoke Just Giving page here! To register fill out the form below and join #TeamPCA! By submitting this form you accept that we will use your information to provide the support and merchandise you need to help you fundraise. We will take care of your details and keep them safe. Our privacy statement explains more about how we do this and your rights to access information we hold about you.